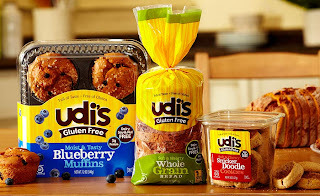 Udi’s is the #1 gluten-free brand in America. Just this year they introduced gluten-free options at Major League baseball stadiums like Coors Field (Colorado Rockies), Yankees Stadium (NY Yankees), and AT&T Park (San Francisco Giants). Although my family does not follow a gluten free diet, both gluten sensitivities and Celiac Disease are on the rise. For those afflicted, eating gluten can lead to chronic and life threatening symptoms. Did you know that eating gluten free may also help alleviate swelling and inflammation due to Rheumatoid Arthritis? Or that some parents report an improvement in their child’s autism and ADHD symptoms when following a gluten free diet? 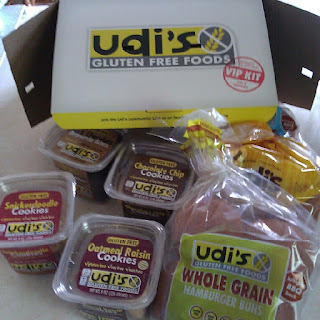 I was sent a variety of Udi's Gluten Free products to share with my family and I must admit I was surprised. I wasn't sure what to expect, although I feared a cardboard taste. Boy was I wrong! The hot dog and hamburger buns were not of the usual variety. They were more firm, similar to what you might get when ordering a gourmet burger at a restaurant or a bakery bun. Definitely not an out of the plastic bag type of bun. I enjoyed mine toasted as well, with a little butter as a quick get out the house in a hurry breakfast. My sample package also include 4 varieties of gluten free cookies. Now here's where I say, I'm not a fan of most boxed store bought cookies. Udi's Snickerdoodle and Oatmeal Raisin Cookies were delicious! Moist and full of flavor! In my opinion, you could easily pass these off as home baked. TOF tried the Chocolate Chip Cookies and Brownie Bites as an after camp snack and he summed up his feelings in one word....Choclatastic! 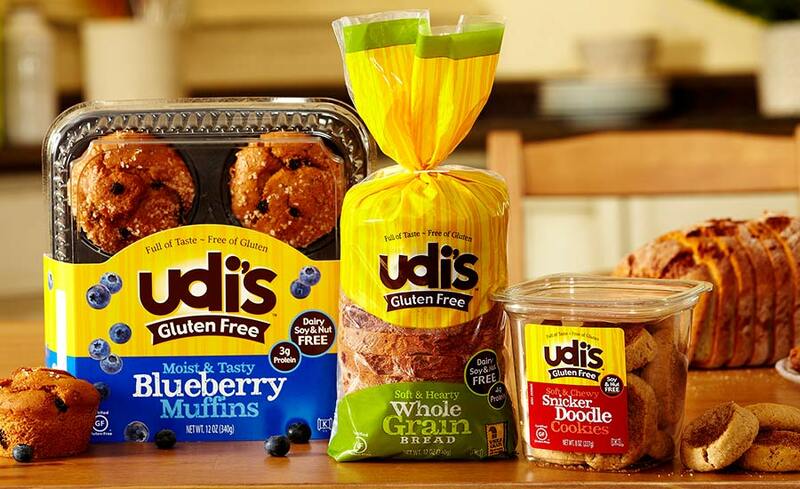 Udi's Gluten Free baked goods will stay fresh on your counter for up to seven days. If you do not plan on eating your product in seven days or less then the proper shelf life for baked goods is as follows: 180 days frozen, 21 days refrigerated and 7 days ambient. The gluten-free granola has a shelf life of 180 days. To receive a $1 coupon good on any Udi's Gluten Free product, click here. Find Udi's at select Target stores, Meijer and Whole Foods. Disclaimer: I received a Udi's VIP package for sharing this information with you. All opinions are my own.